To celebrate, we have secured a private screening of Rogue One in San Diego, CA on December 16th at 8 p.m. (opening night) – and we are giving away four tickets to one lucky individual! 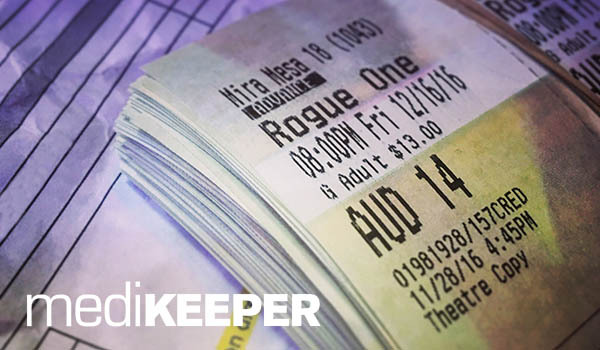 Join the MediKeeper team at our screening with no ads, no movie previews, no waiting in lines, no ticket fees, and the chance to watch the movie with fellow Star Wars enthusiasts! You guys are absolutely awesome, and definitely take care of your team and your community. The fact that you are giving back to local nerds with an opportunity like this is even more awesome! I’m a friend of one of your employees, and just wanted to say thank you.